This moving account of James Towne's difficult early years is told from the viewpoint of one of its settlers and enhanced by original quotations. During the first summer of 1607, half the James Towne colony died; food was scarce, and the settlers battled oppressive heat and sickness. Over the next few years, supply ships from England became the colony's lifeline, as they brought much-needed stores of food and carried back offerings from the new land, as well as the settlers' homesick letters. Conditions began to improve when Captain John Smith was elected president of the colony, and James Towne soon doubled in size. While some of the settlers had been reluctant to work, Smith required participation from all, and the colonists began to take pride in improving their conditions. Furthermore, by learning the native language and befriending a Native American girl named Pocahontas, Smith was able to establish, temporarily, an uneasy peace between the settlers and the natives whose land they had taken. As new settlers began to arrive from England though, the resources of the budding colony were strained, and in the autumn of 1609 the colony suffered a Starving Time. Deciding to abandon James Towne at last, the colonists headed back toward England, only to have their journey intercepted by a messenger, who informed the settlers that new leaders sent by the King were due to arrive in the flailing colony any day, and urged them to return. 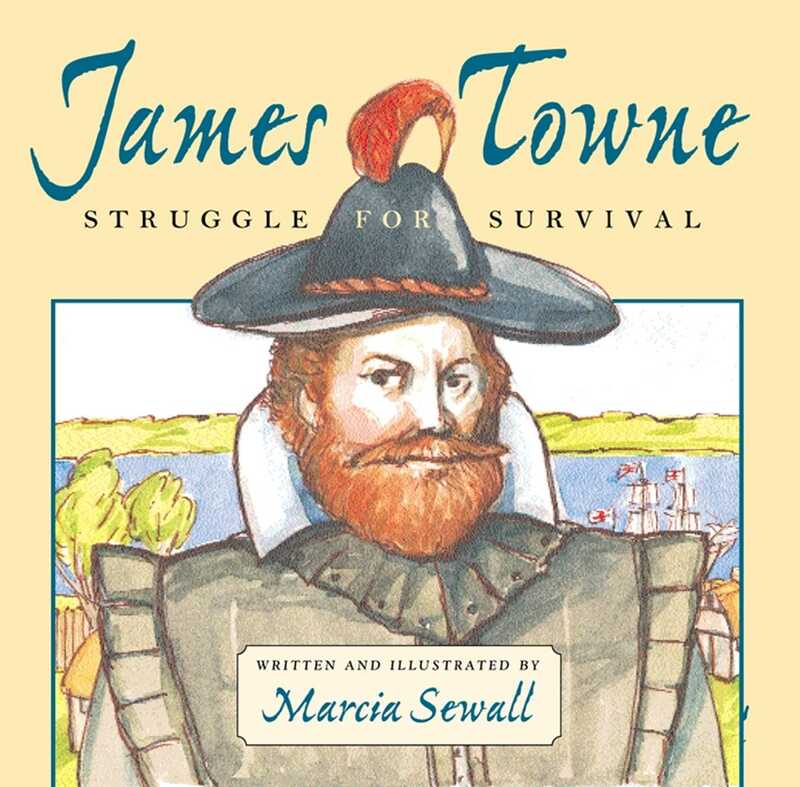 Not for long after their arrival, the discouraged James Towne colonists were met by a new governor and a ship full of healthy passengers with enough supplies and hope to work together to ensure James Towne's survival. Marcia Sewall's children's books have been among the New York Times Best Illustrated, the ALA Notables, and School Library Journal and Booklist best books of the year. Her illustrations have been selected for exhibition by the American Institute of Graphic Arts and the Bratislava International Biennale. She is a lifelong resident of New England.